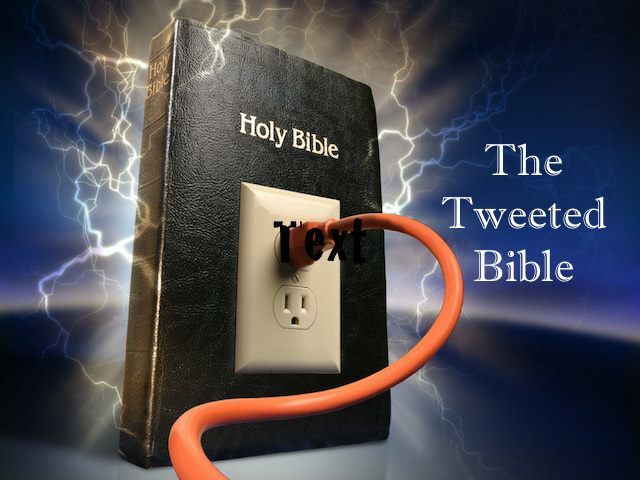 Tweet: The Bible is a mirror that we look into to see who we are in Christ. Afterward, we should never forget who we are, lest we fail to do what the Bible says and live our lives as a Christian should. Tweet: The only school a Christian needs to attend is “Mary’s College,” which is located at the feet of Jesus. For the only thing we need to do to live our lives as Christ intends is to live our lives listening intently to Him. Tweet: Apostates in the church are like wandering stars doomed to the blackness of darkness forever in that they presently wander aimlessly in the dark and will be doomed to perpetually do so in the utter and outer darkness of eternity. Tweet: Apostates in the church are like wild waves of the sea that foam out their own shame in that they are nothing more than froth tossed to and fro on the tumultuous sea of their own fickle fancies. Tweet: Apostates in the church are like fruitless autumn tress in that their fruitlessness proves them both useless and doubly dead, devoid of spiritual unction in the here-and-now and destined to be uprooted in the hereafter. Tweet: Apostates in the church are like clouds without rain driven by the wind in that their false doctrine is neither substantive nor stable, but invented and inconstant. Tweet: Apostates in the church are like shepherds who fatten themselves off the flock, they care not for the sheep, but only for themselves. Tweet: Apostates in the church are like hidden rocks under the sea, they threaten to ship-wreck the faith of the saints. Tweet: We should not get shaky hands and weak-kneed under the chastening of the Lord, since it proves we’re loved by God and a child of God. Instead, we should stand up and take it, learn our lesson from it, and straighten up after it. Tweet: The realization that our lives are in God’s hands, not in the hands of others, especially not in the hands of our opponents or oppressors, turns divine providence into a soft pillow for anxious heads.